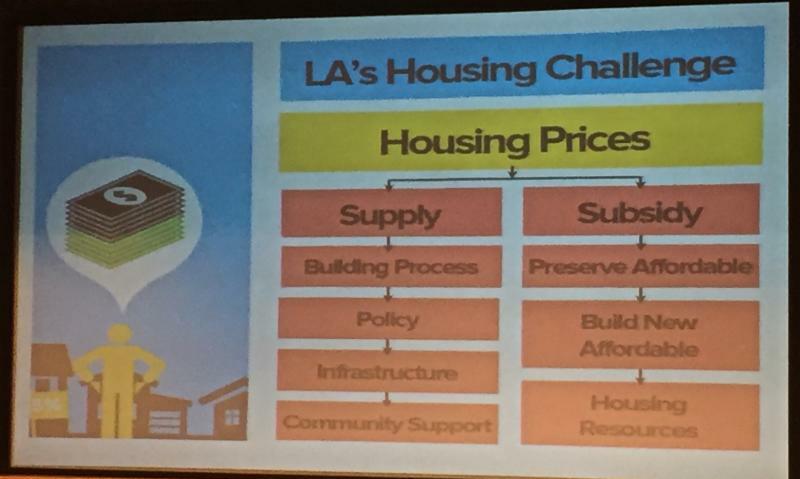 The Coalition for Economic Survival (CES) believes what was important about the LA Mayor Eric Garcetti’s speech given at the Mayoral Housing, Transportation and Jobs Summit at UCLA on October 29, 2014, was the recognition that we need to link the commitment to providing new affordable housing with raising the minimum wage. For low wage earners providing one without the other is an inadequate formula. Without the wage increase one can’t afford the housing, and without the affordable housing a wage increase will only go to the landlord. The other important commitment made by the Mayor was the need to preserve existing affordable housing in addition to producing new affordable Units, as well as protecting the city’s rent control law and tenant protections. 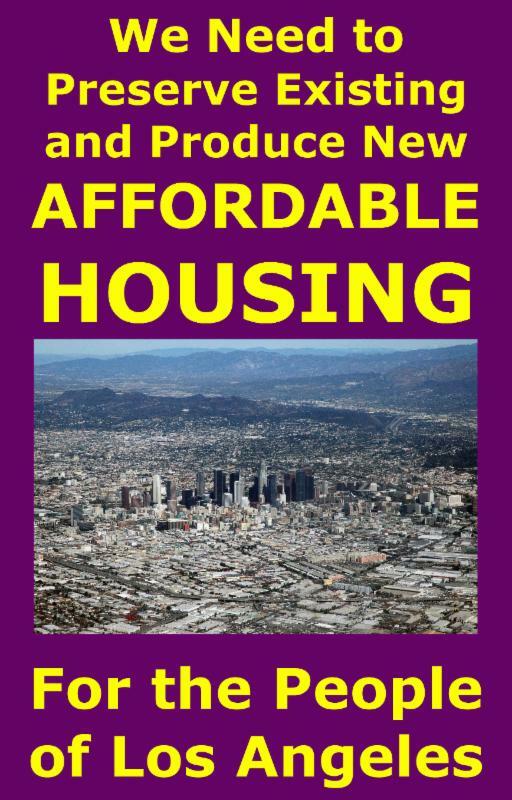 If we don’t preserve the existing affordable units then no matter how many units are built they won’t meet the need. We will never build our way out of our affordable housing crisis unless there is an equal commitment to preserve existing affordable housing. The Mayor also committed to building 100,000 housing units by 2021. Most of these units need to be affordable units. 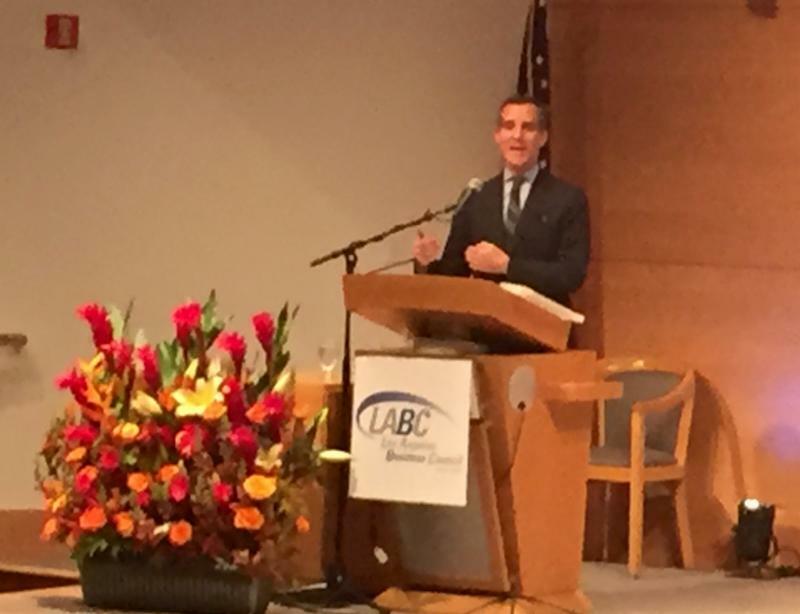 In a City where the majority are renters and most of those renters are currently paying unaffordable rents, CES applauds the Mayor’s stated commitment to ensuring that there is adequate affordable housing for the people of Los Angeles.